Wagyu beef? Ehh, yes. We have heard too many promotions about this beef. From wagyu beef roll to the wagyu beef sub in subway, they seem to appear anywhere. I am a definite Wagyu fan and lover and would like to share my experience about this cattle breed with you guys, my fellow foodies. Wagyu beef is arguably the most prestigious meat in the world. Originated in Japan, the word “Wagyu” means Japanese beef in old times, but nowadays it means the breed(s) of cattle that are smaller in size and can produce meat with good marbling. These marblings, as I said previously, are fats, but they are those good unsaturated fatty acids which are essential for our health. Apart from Japan, many countries now have their own breed of wagyu. 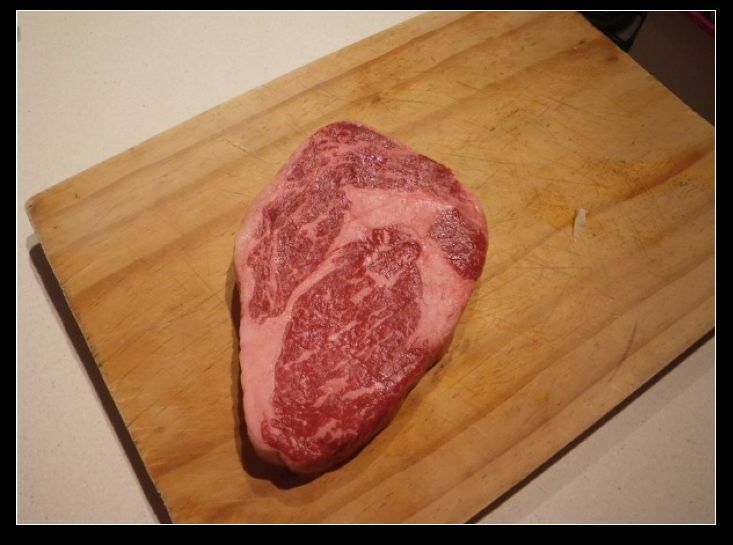 The largest and the most reputated country for the Wagyu quality is Australia. We have far better water and farming resources than other countries, even better than the US. Due to the geographical properties of the land, the Wagyu produced here in Australia are very popular in Asian and European nations. Domestically, full blood and wagyu-cross breed are mostly in the market. Sher Wagyu is one of those brands that are reputated even in Japan. The Sher family has been breeding Wagyu beef since 1991. 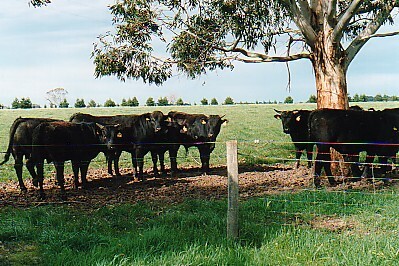 Although based in Victoria, their wagyu products can be found in most states. 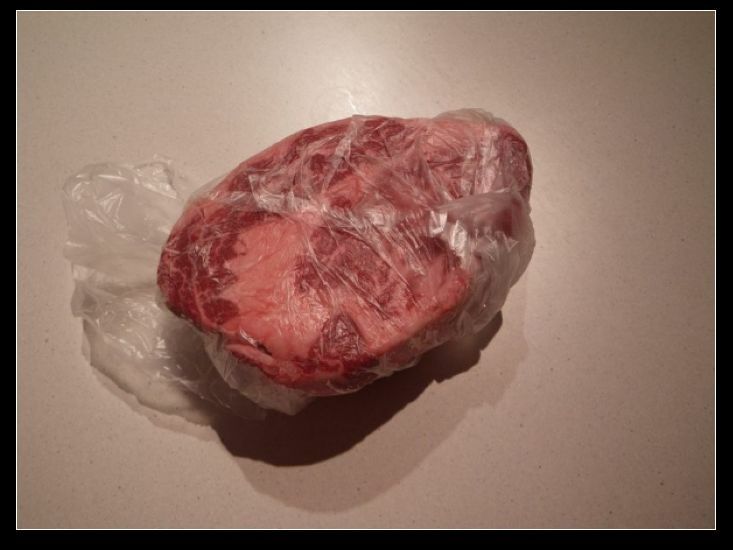 In Adelaide, I found their beef through Feast Fine Foods Central Market. They come as vacuum packed and you can ask the butcher to cut it according to your liking. 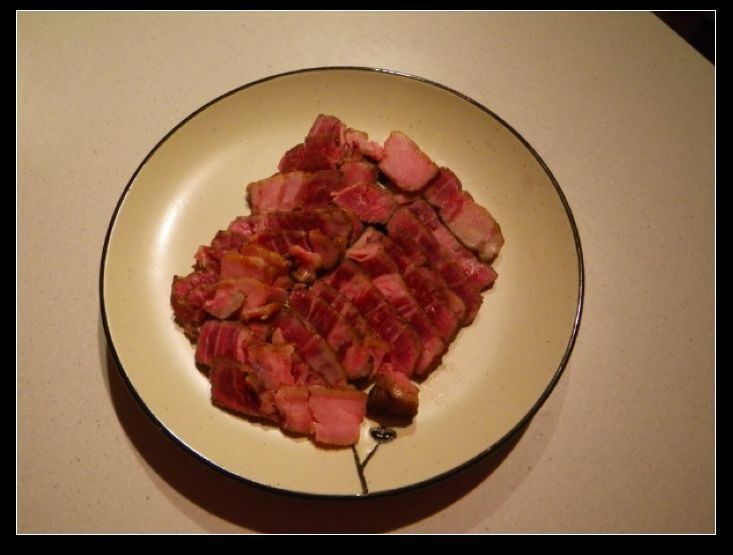 The color of the beef, after immediate cutting, is dark black. That’s okay cos it’s due to the vacuum packing. After I got home (15 mins), the meat started to appear as a rich red color. Look at the meat, it certainly has lots of marbles even looking at the vertical side. These two scotch fillets, according to Feast Fine Foods, are scored around 6-7. 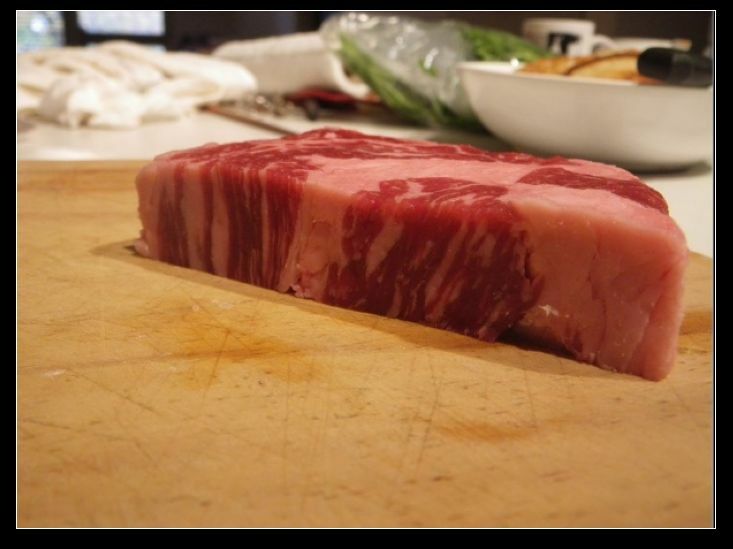 I’ve been searching for higher scored Sher Wagyu or any wagyu for a long time, but wasn’t able to find any here in Adelaide. If you know where I can find a score 8-9 Wagyu beef, please let me know. When cooking the steaks, you can do them as what you normally do with other beef. However, because the meat is naturally full of flavour and fat, you should ensure minimal / no oil is used in the grill pan. 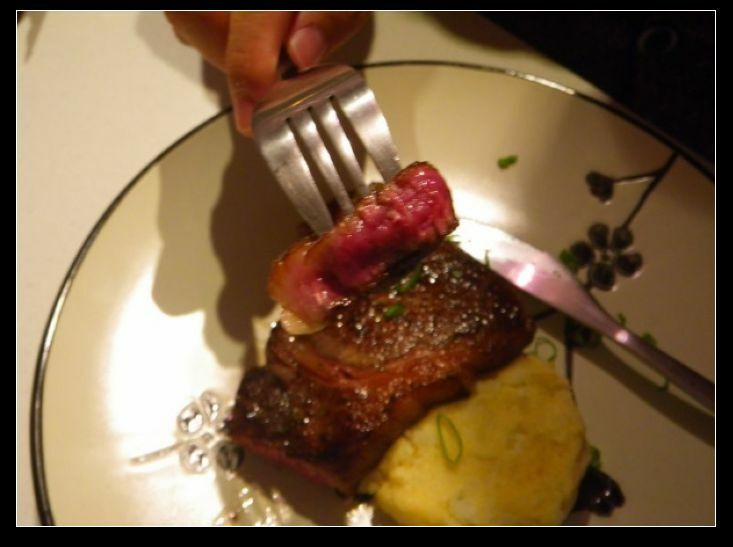 To get the best experience with the beef, they are better cooked rare but do not go pass medium rare. The taste of the meat is sooooooooooooooooooooooooooooooooooooooooooooooooooooooooooooooooooooooooo beautiful. They are full of flavours with aromas of floating around when smelt. The meat is not only tender and moist but also giving a melting experience once on your tongue. With the first bite being yummy, the following bites are all became extraordinary! The fat is very chewy while the meat is very soft and juicy. It literally MELTS in the mouth and the fat actually got exploded very quickly. It’s truly a “WOW” experience. The Sher Wagyu beef is subtle, moreish and tantalising and they are like no other beefs ppl may have tasted ever before! 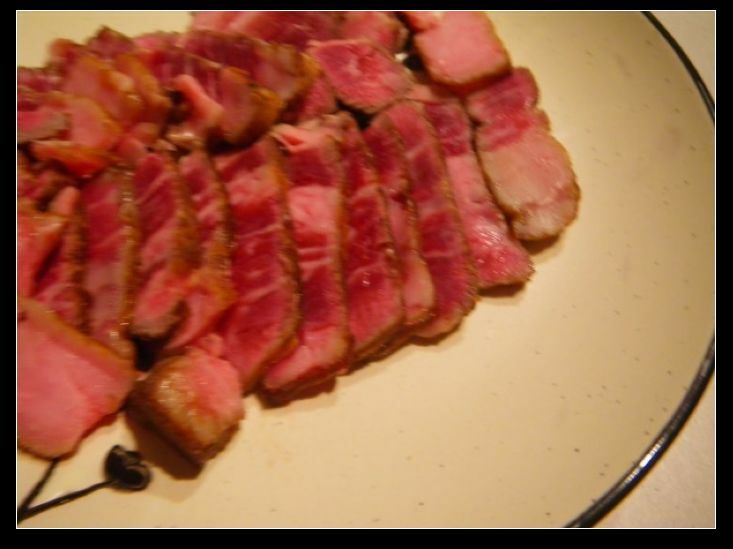 The other dish I did with this meat is beef sashimi, which the meat was cooked blue and cut into pieces. If you hate raw meat, please IGNORE this section. The dish was accompanied by soy sauce, pickled ginger and wasabi. Seriously, by this way, the meat tastes better; the fat was more chewy and the melting effect has been fully enhanced. The Sher Wagyu beef was beautiful with heaps of flavours. 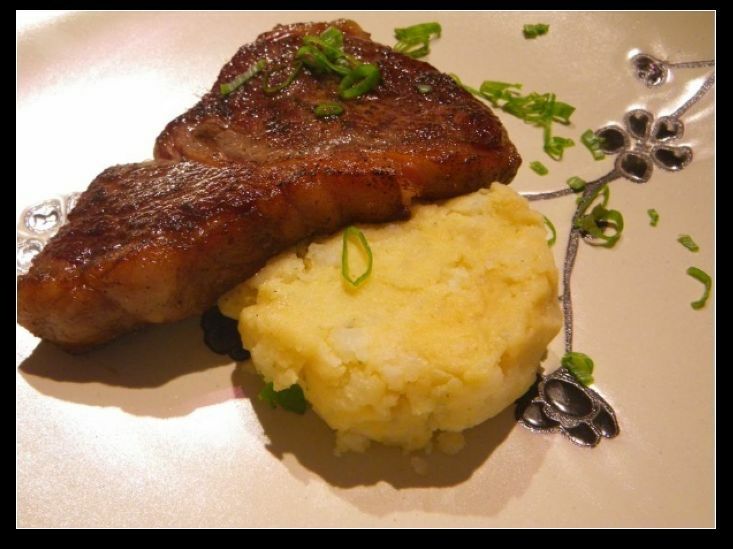 It provides diners with a wow experience including chewy healthy unsaturated fat, subtle and flavoursome meat with good textures and the beef melts immediately once in mouth. Highly recommended Wagyu beef brand. Btw, of anyone know where I can get a score 8-9 scotch or even rump, please reply to let me know. I am craving for it! There are some attention-grabbing headlines in this article. Good article , thanks and we would like extra! Kerry, I think you should. Cooking is a good way to enjoy life hah!! you still after 9+ wagyu?